FNB Stadium, more commonly known as Soccer City, was built between 1986 and 1989. The stadium could at that time hold about 80,000 spectators. The stadium received a major upgrade in 2009 in preparation for the 2010 World Cup. As a result, capacity increased to about 95,000, however this was temporarily reduced again during the World Cup to about 85,000 seats. 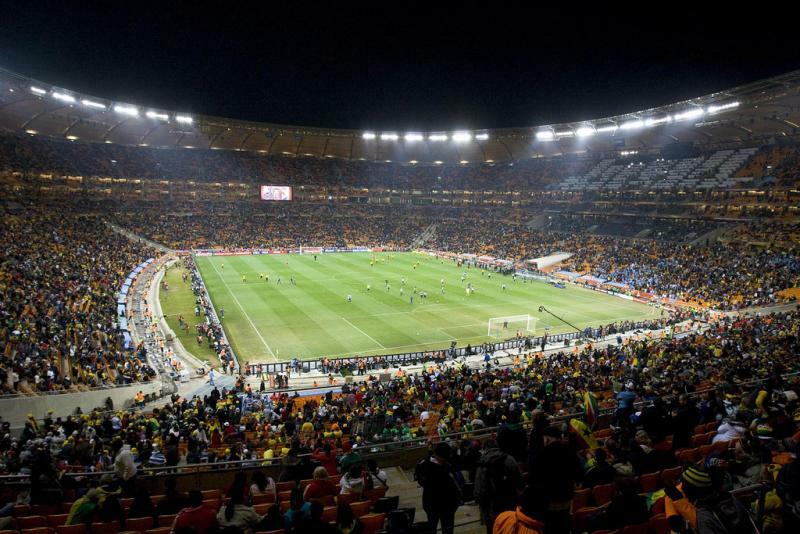 During the World Cup, Soccer City hosted the opening match between South Africa and Mexico (1-1), a further four group matches, a round of 16 match, the quarter-final between Uruguay and Ghana (1-1), and the final between Spain and the Netherlands (1-0). 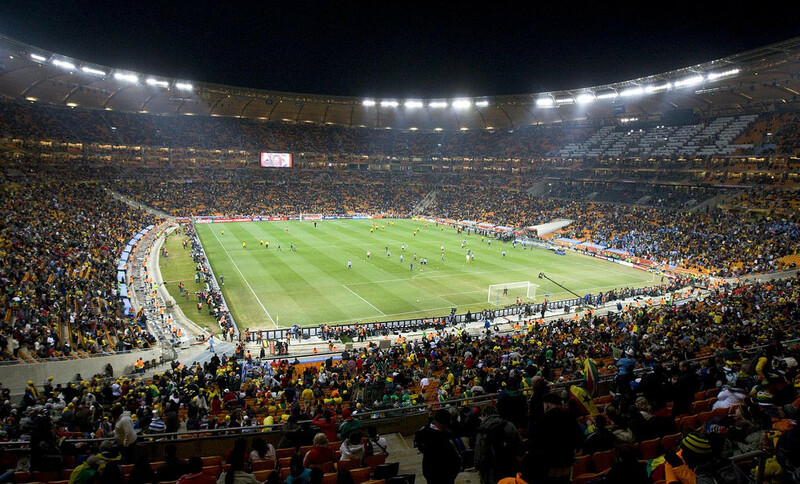 FNB Stadium had earlier hosted the final of the 1996 Africa Cup of Nations, and hosted the final of the same tournament again in 2013. 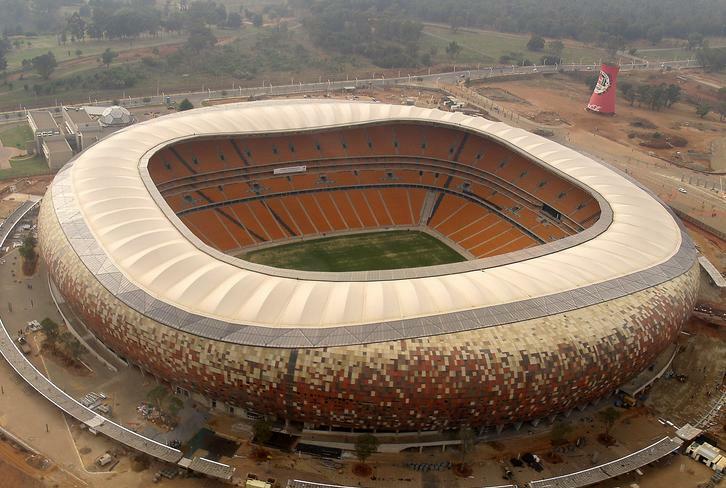 The stadium is intended to have the shape of an African pot (calabash). 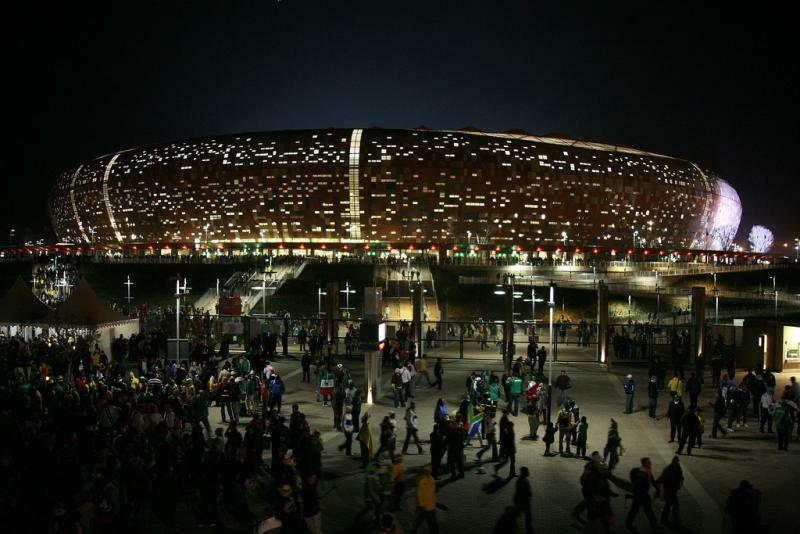 Soccer City is located in the south-west of Johannesburg on the edge of the city of Soweto. It lies about 8 kilometres from Johannesburg’s Central Business District. Soweto city centre is about 9 kilometres further east. If arriving from the N1 motorway, which runs west of the city, take junction 67 for Randskouweg. Turn east onto Rand Show Road and follow until the T-section with Nasrec Road. Turn left onto Nasrec Road and follow until you see the stadium on the left. If coming from the M1 motorway from Johannesburg city centre, take the ramp for Nasrec Road (Expo Centre). At the crossing with Nasrec Road, turn right, and follow until you see the stadium on your left. Tickets for Kaizer Chiefs matches can be bought online via Computicket, in person at the MoneyMarket counters of any Shoprite or Checkers store, or at the box office at the stadium. Tickets for all stands typically cost R$40.00. Stadium Management SA, the management firm of FNB Stadium, offers guided stadium tours that include the changing rooms, players tunnel, mixed zone, and VIP areas. The tour lasts 60 to 90 minutes. Tours run seven days a week at various hours. There are no tours on matchdays. Bookings are not required, though participation is subject to availability. Bookings can be made online, by phone +27 (0) 11 247 5300 or email functions@stadiummanagement.co.za. Kaizerchiefs.com – Official website of Kaizer Chiefs FC. Stadiummanagement.co.za – Website of the FNB Stadium management firm. Joburgtourism.com – Website of the Johannesburg Tourism Company. I live approximately 2 miles from the stadium. I watched every single game at the stadium during the 2010 Fifa World Cup. Soccer City is the biggest stadium in Africa and it is truly magnificent. The stadium is easy to access and hospitality is world class.